“IF I DO NOT PROVE IT THEN I WILL BECOME INC.
“You claim Romans 16:16 "church of Christ" means your the true church? Do you know how wrong that is and unbiblical that is? “The phrase "Church of Christ" never once appears in the Bible. 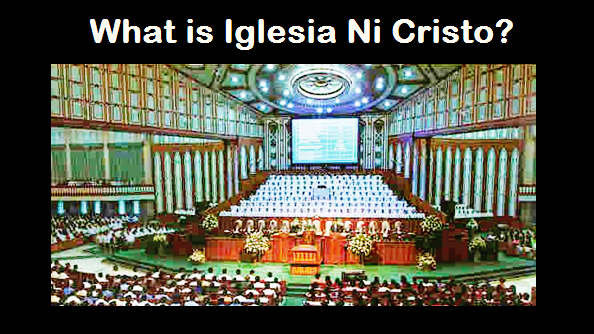 This Catholic Defender said that INC is misleading the people and he also said that if he cannot prove it “then I will become INC.” No need for that because we will not going to accept you anyway because according to our doctrine, a person must enter the Church of Christ because of faith and not any other reasons like he just lose a debate. THIS STATEMENT SHOWS NOT ONLY THAT THIS CATHOLIC DEFENDER IS IGNORANT OF WHAT ARE WRITTEN IN THE BIBLE, BUT ALSO THAT HE IS IGNORANT OF BIBLE TRANSLATIONS AND VERSIONS. FIRST, why we said that this Catholic Defender is ignorant of Bible translation and versions? He said “ALL 21 VERSIONS OF THE BIBLE.” FOR THE SAKE OF THE READERS, IF HE IS TALKING ABOUT THE ENGLISH BIBLE, ACTUALLY THE ENGLISH BIBLE IS NOT ONLY 21, BUT MORE THAN 200. So that’s the reason of his ERRONEOUS premise that “the phrase Church of Christ never once appears in the Bible.” He look at it in only 21 versions of the Bible, when it is a fact that there are more than 200 English Bible! He look at it in only 21 versions of the Bible and when he did not saw the name “Church of Christ” he concluded that “the phrase Church of Christ never once appears in the Bible.” HOW RIDICULOUS! This translation is based from the text of the Resultant Greek Testament. I assure you, there are more verses stating "Church of Christ" especially if we look it up on all Bible versions (which the English Bible alone is more than 200) and not on 21 versions only. However, I think for now this verse is sufficient to prove the error of this Catholic Defender.